Submit Home | About Us | Opportunities | Sponsorships | Contact Us! Do you know of an artist, a shop, a product, or another site that we should know about? Artisans: You are welcome to submit your own shop, products and items for consideration in our various weekly spotlights. If you’re interested in a specific weekly spotlight (Featured Interviews, In Gear, or Hot Picks) please let us know. 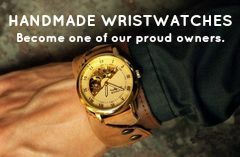 Etsians: Make sure to join the official Handmade Men team for easy submissions! Click HERE to join! Please include any links or information you think we should have. Add your email address so that we can get in touch with you if needed, and make sure to follow the blog to see if you get picked! Follow by entering your email address on the right sidebar of the front page.